Bryan’s background is truly impressive. It includes his many years as a Coldwell Banker Previews Top 10 agent in both transactions and sales volume, and tenure as CEO of a thriving California Central Coast company and principal owner of another. He brings a wealth of significant real estate and construction expertise to the table as well. His extensive construction knowledge has been gained working with outstanding contractors and coordinating and overseeing all aspects of the building process – from basic remodeling, to major renovation and reconstruction projects, both for residential and commercial projects. Bryan attributes his success not only to his business acumen, but also to his focus on the client and to his no-drama transactions and respect from other real estate professionals. He is continually commended by clients and colleagues alike for his work ethic and high level of professionalism and integrity. Having that stellar reputation and relationship with agents and brokers is one of Bryan’s true advantages as a Realtor. Indeed, real estate is something Bryan has been interested in since he was a young man. From that early age, he loved the beauty and varied architecture of Santa Barbara homes, interior and exterior design, as well as the historical significance many of them carry. It seemed natural that he would ultimately bring together his appreciation for residential real estate and his high-level work ethic. 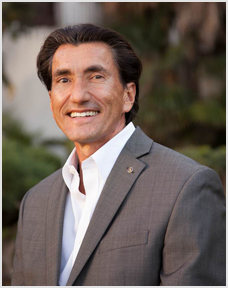 Deeply committed to Santa Barbara, Bryan is also a devoted father of two sons who are successful in their own professions. His personal philosophy is manifest in his devotion to non-profit organizations related to the heart, spirit, consciousness and being a better person overall. Active and athletic, he enjoys swimming regularly, yoga, skiing, hiking, sailing and kayaking.